Blaine Everbleed is a suspected serial killer that was captured by the FBI. Without enough evidence to convict him, the FBI’s lead investigator is getting desperate and has hired you and your team of Mediums. You have sixty minutes in Blaine Everbleed’s basement to decipher what happened and gather incriminating evidence against the sick serial killer. 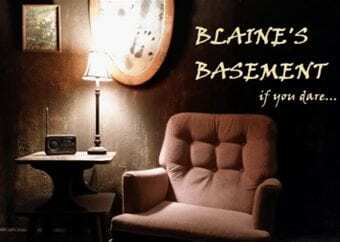 Do you dare enter Blaine’s Basement? *This game may be frightening for children as it contains loud noises and moments of darkness. Please also note that you must be able to walk up and down stairs to get into Blaine’s Basement.